Multi-layer graphenes with two-dimensional structure are added into cementitious composites to develop multifunctional/smart materials. The effects of graphene content on the rheology, mechanical properties/performances, durability, and functional/smart properties/performances of fresh and hardened cementitious composites are investigated. The underlying reinforcement/modification mechanisms are also analyzed through X-ray diffraction, nuclear magnetic resonance, thermogravimetry and scanning electron microscope, and electromagnetic parameter tests as well as theoretical calculation. 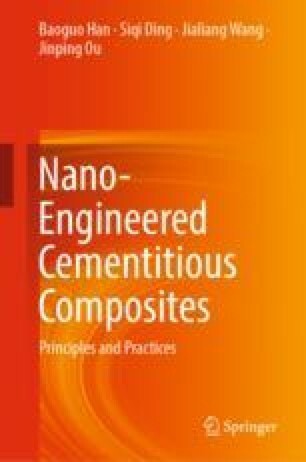 Experimental results show that the incorporation of multi-layer graphenes makes obvious changes in the properties/performances of fresh and hardened cementitious composites due to their layer structure in combination with the essential characteristics of nano-carbon materials.